The merge is here, and this is where Survivor starts to get even crazier. 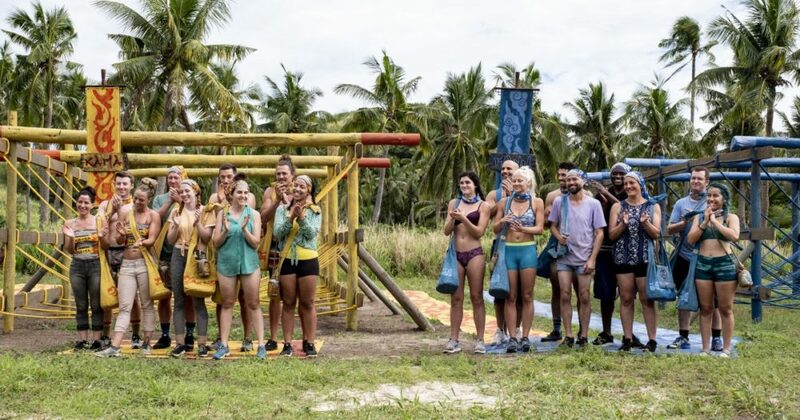 Here’s who got voted off tonight in episode 6 of Survivor 38: Edge of Extinction (2019). To cut to the chase, Joe Anglim was the unlucky castaway who was most recently voted off in Survivor 38. Before we get into the nitty-gritty, first we need to talk about our previously voted off castaways. This episode, the Extinction castaways finally got their first chance to get back in the game. The challenge was between Reem, Keith, Chris, Rick, Aubry, and Wendy. In the end, Rick managed to win the challenge and he got back in the game. However, despite how close he seemed to be with his previous Lesu tribe mates, all of them (save for David) were set on voting him out. Wentworth and Lauren approached the Kama girls with the idea of voting out Rick. However, Julie had made a connection with Rick, and considered voting out Wentworth herself instead. On the flip side, Rick had received an advantage in the form of a hidden immunity idol. The catch was that he had to give one half of the idol to another person in the game. If both players made it through the first tribal council after the merge, the two halves could then be joined to become a proper immunity idol with full player. Unsurprisingly, Rick chose to give it to his closest ally, David. The first individual immunity challenge in Survivor 38 was a close one between Julie, Joe, and Lauren. But in the end, Julie was the one who took the win. Back at camp, Ron got the idea that the Kama tribe should take this opportunity to vote out Joe. Meanwhile, Rick had gotten wind from Julie that his Lesu friends were gunning for him, but she reassured him that they would be voting for someone else. With that in mind, Rick and David came to the conclusion that the Kama tribe was probably going to vote out Wentworth. And so, the pair decided to place their votes on her. At the same time, Lauren, Wentworth, and Wardog were still under the impression that the Kama members would agree to go with their plan to vote out Rick, and split their votes between Rick and David, so they all put their votes on David. Meanwhile, Joe and Aurora also thought the plan was to split votes between Rick and David, and the pair put their votes on Rick. However, the Kama members ended up deciding to vote out Joe during tribal council, and he chose to go to the Edge of Extinction. That’s all you need to know about who got voted off tonight in episode 6 of Survivor 38: Edge of Extinction (2019). Be sure to search for Twinfinite for more Survivor-related content.